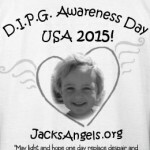 Jackson is a boy from Colorado fighting a devastating foe: DSRCT. 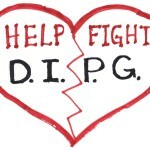 Desmoplastic Small Round Cell Tumor (sarcoma) is a frequently misdiagnosed, rare pediatric cancer with only 200 known cases in the United States, and a poor prognosis. His father, Jason Frank, candidly discusses the monumental challenges confronting his family, and the less-spoken psychological realities that parents of children with cancer invariably face. 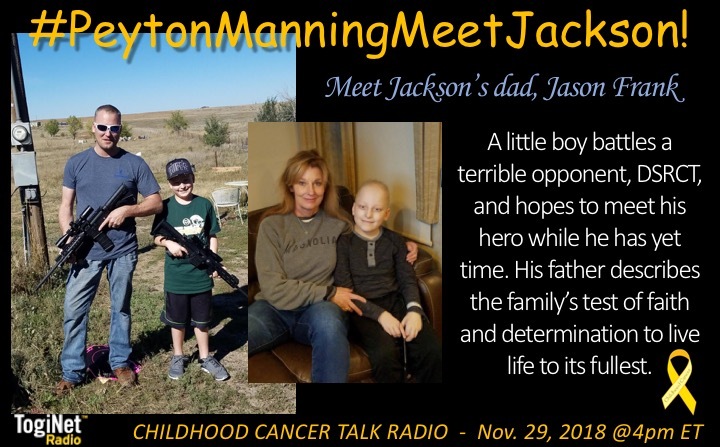 Jackson’s survival time is uncertain, though statistics indicate he may have less than 2 years; his dream is to meet his hero, Peyton Manning, retired star quarterback of the Denver Broncos. Denver Broncos, Desmoplastic Small Round Cell Tumor, DSRCT, Jackson, Jason Frank, pediatric cancer, Peyton Manning, poor prognosis, retired star quarterback, sarcoma, survival time. Bookmark.